The following excerpt was sent to subscribers as an eTeaching. You can sign up here to receive these monthly. “We are grateful for the opportunity to offer service to the Buddha, Dharma, and Sangha, and to sentient beings. While working with others, differences in ideas and ways of doing things may arise. These are natural and are a source of creative exchange; our minds don’t need to make them into conflicts. In a family setting, this verse could be adapted and recited by the whole family before each family member embarks on doing his or her weekly chores. Seeing chores as “offering service” rather than “work” changes our attitude and our mood. When parents and children recite this verse together, they remember that everyone participates and contributes to the well-being of the family. Friends of the Abbey have brought this verse into their workplace, and even to office meetings. 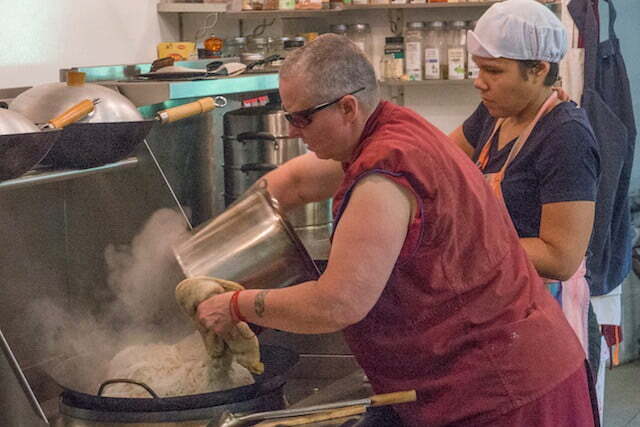 “We will offer service by preparing a meal for the community of Dharma practitioners. We are fortunate to have the opportunity to prepare and cook this food. 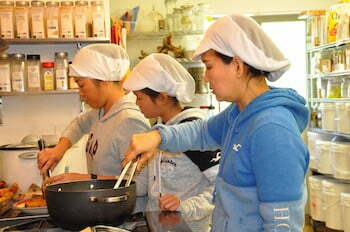 The food will nourish their bodies and the love we put into preparing it will nourish their hearts. Preparing food is an expression of our kind heart. 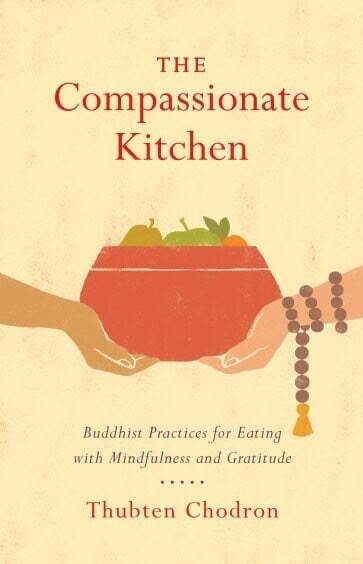 When we chop, mix, and cook, we will work with mindfulness and a relaxed mind. We will leave aside idle talk, and speak with gentle and low voices. The menu will be simple and healthy, free from the distraction of elaborate and complicated menus. We will wash the veggies and fruits well, thinking that we are cleansing defilements from the minds of sentient beings with the nectar of wisdom. Out of consideration for those who will clean up after the meal, we will tidy up after ourselves. This verse, too, can be said in a family. It transforms our motivation from “I have to cook (sigh)” to “I have the opportunity to be of benefit to others.” It also gives children a way to join in food preparation and to be in contact with fresh food, rather than fast food. American Evergreen Buddhist Association in Kirkland, WA on Nov 19.